After all the hard work creating what we believe are the best wrought iron and stainless steel pans in the world today, and creating a whole new cookware industry for Australia, where none existed, we are very grateful for such solid support from the experts and home cooks.....and, yes, we are very proud. Thank you all! Click here to go to the original article in The Telegraph. 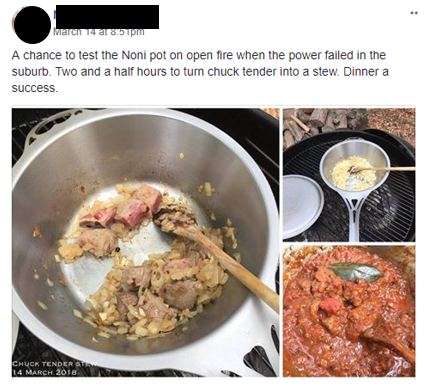 Wow, we HAD to share these great reviews from one of the iron cooking experts in the USA. In a land dominated by big (and very good) traditional American iron, Jeff Rogers has the experience to know why our pans are so different. Our sales in the USA have been rocketing, with this kind of recognition from the iron cooking experts. Chefs in the USA are getting as excited as Australian chefs about this innovative new category of iron cookware: seamless formed wrought iron! 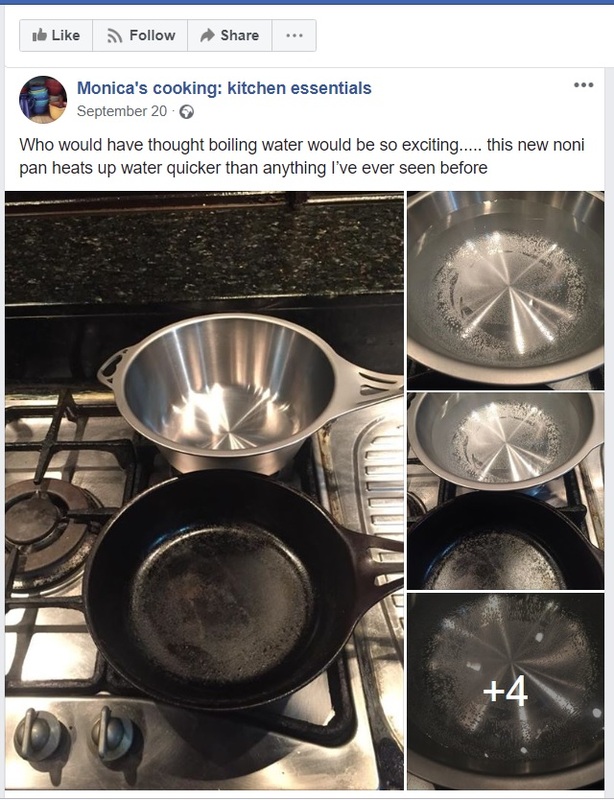 FAQ: Is there such a thing as a naturally nonstick pan that's non-toxic, has no heat limits, and is forever-renewable, not disposable? 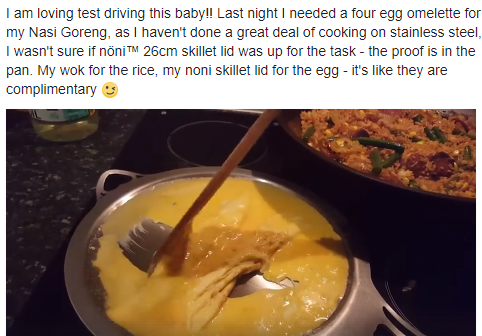 We see a lot of posts from excited cooks when they discover that nonstick doesn't need to be synthetic, toxic and disposable. Natural seasoned steel/iron wins for health and sustainability! More expert, unsolicited, free opinion in this Facebook review post by Jeff Rogers, The Culinary Fanatic in the USA. Click on the image to go to the OP. Jo Whitton at Quirky Cooking received over 1,000 written entries in this competition, most of them very high quality! While you read this on Facebook, remember all comments here are unsponsored and we never 'plant' comments. 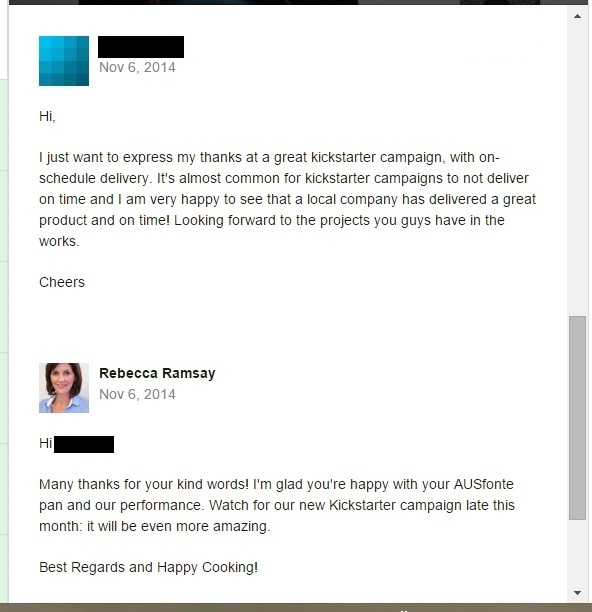 This is raw enthusiasm for something special happening in this new Australian cookware industry! Made in Australia, with love you can't beat. Easy to clean, it's an engineers treat. My daughters will get them, passing all that love on. No nasties will find their way in to your cooking, and the pure Aussie iron will keep you good looking. With AUSfonte around, cooking keeps my heart racing. Keeping me from dietary harm. Best money I ever spent on cookware. Fantastic and Australian Designed and Manufactured.Worth more than the cost to me.Nothing from overseas comes close to these products. Another Australian World Beater. Post by Solidteknics: Tough Love for Cooks, by food-loving engineer MJ Henry. 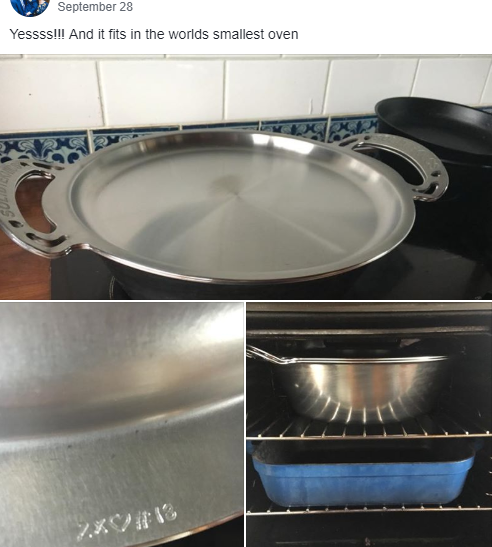 Click on comments bubble above to see what AUSfonte Tough Love pan owners have to say about their experiences. 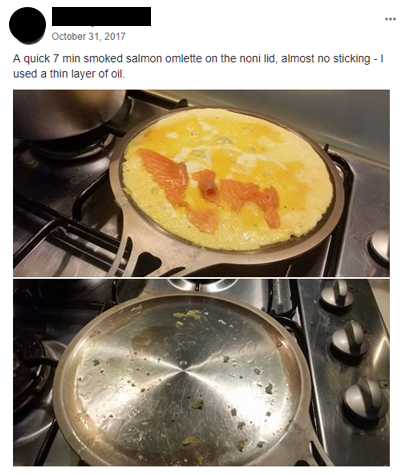 Post by Australian Organic Directory. Post by Creative Cooks - Kitchenware Superstores.